Trusted by the world’s leading businesses in IT, Life Sciences, Manufacturing, Financial Services, Stepes provides super fast and Professional Translation Services in 100 languages, globally. Accurate translations of patents in Simplified Chinese, Japanese, and 100 other languages. Machine translation solutions for legal content for improved consistency and cost savings. The best legal translation solutions by using bilingual lawyers and paralegal professionals. The ongoing digital transformation demands rapid worldwide deployment of business content in all languages. 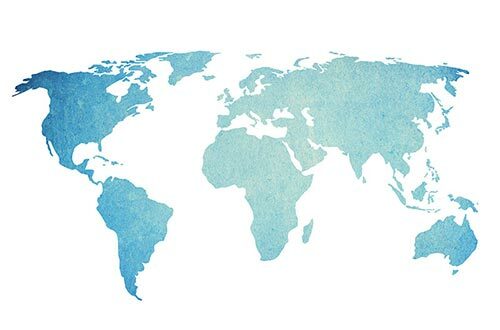 Whether it’s international marketing campaigns, overseas product launches, cross-border business contracts, user documents, or global online support services, your company’s global success depends on fast and professional translation services that meet today’s complex translation requirements with speed and versatility. Stepes’ advanced language technologies and services provide end-to-end solutions that simplify professional translation of technical documents, websites, videos and training content, while helping multinational companies confidently communicate with their international customers in any language, at any time. At Stepes, we only use professionally trained linguists with subject matter expertise to work on your projects. We empower our translators with the best tools so they efficiently translate your content with technical accuracy and linguistic consistency. We’ve reinvented professional translation services to be simpler, faster, and more cost-effective. Indeed, Stepes leads the language industry in customer satisfaction, translation speed, and competitive service. There are thousands of translation companies in the world. How can you decide which translation vendors deliver the best professional language service your company depends on for global expansion and international revenue growth? The good news is that we’ve compiled a comprehensive report to help you sort through the marketing hype in order to find the best translation services your organization can trust for years to come. Click here to view the report. Our AI powered human translation solutions allow companies to obtain simpler, better, and more cost effective language services. Get your content translated at blazing fast speeds by using our automated translation matching system. Ensure accuracy by using pre-approved translators with industry specific specialties. We ensure your translation standards are kept high without breaking your budget. Stepes delivers the fastest translation services in the industry. We do this by leveraging our ground-breaking mobile solutions which allow your translation requests to be instantly sent to our pre-qualified translators. This enables them to immediately translate anytime and anywhere, from their mobile devices as well as desktop computers. Stepes is years ahead of the competition in terms of delivering professional, on-demand translations that are tailored for the digital age. Our AI powered and cloud centric approach offers the best language solutions for enterprise translation services with unrivaled speed, flexibility, and scale. Our fully automated website localization services ensure your website is translated quickly and to the highest quality. Our proxy solutions allow your future website updates to be automatically captured and translated on-demand and hassle free. We translate all document types such as Word, PDF, InDesign, PowerPoint, FrameMaker, or Excel. Our intelligent file analysis algorithms automatically calculate word counts and provide you with instant quotes. We only use professional translators with domain subject matter expertise to translate your documents for the best linguistic quality and technical precision. We’ve streamlined the translation process for all kinds of training courses and eLearning applications so your multilingual learning materials are translated correctly every time. We have the localization expertise, multimedia skills, and engineering capabilities to ensure the translated courses resonate with your international audiences and function on all platforms. Need translation services for images or scanned documents? Stepes’ AI powered OCR (optical character recognition) applications automatically extract content from JPEG, PNG, and other bitmap images. We are the number one on-demand image translation company in the world. Stepes introduced the world’s first automated, continuous social medial translation platform for Twitter, Facebook, LinkedIn and other social media channels. All you need is to sign up and tell us the target languages and we’ll take care of the rest. Stepes makes your social media translation a breeze. Stepes is the first translation company to apply AI (artificial intelligence) beyond MT to the entire translation process ranging from AI powered file analysis, to intelligent language resource evaluation, smart project management, and even automated linguistic QA. Our AI powered localization solutions help global enterprises gain unrivaled translation efficiency and scale at significantly reduced costs. In today’s digital world, translation solutions need to be iterative, agile, and available around the clock. More and more enterprise require lean, automated translation services via APIs that are fast and streamlined in order to meet international customer demands. Stepes’ automated translation solutions via RESTful APIs are the game changer for unrivaled speed and scalability. Video is rapidly becoming the standard for global information deployment and more companies today rely on video assets for marketing and business development. Stepes provides comprehensive solutions for video localization including multilingual voiceover, subtitling, and translated video hosting. Contact us today for all your video translation needs. In the same way that Amazon has revolutionized ecommerce, Stepes’ language cloud ecosystem has radically transformed traditional translation services to an online based model. Global businesses increasingly depend on Stepes’ online translation solutions to get their content translated fast, in real-time, and around the clock. We translate user manuals, business contracts, IFUs (Information for Use), annual reports, product guides, legal documents, and more. Our web proxy translation solutions support high-quality localization for any type of website such as corporate, e-commerce, blogs, community, or any social media platform. Stepes’ agile and just-in-time translation solutions redefine software localization for ERP, CRM, business applications, mobile apps, and more. We have the linguistic, voiceover, and programming talent to deliver both quality and affordable translation solutions for all your e-learning localization needs. Professional translation services in over 100 languages, 24/7, on all devices – desktop, tablet, and mobile. We have more than 100,000 translators providing hassle-free localization services around the world. Our intuitive online platform allows global companies of all sizes and industries to obtain fast and cost-effective language translations from professional translators. Stepes is a culture, context, and industry specific human translation platform. Trust your software interfaces, technical documents, instruction manuals, and marketing material with our quality translation services. Powered by the largest linguist network in the world. We provide Professional Translation Services in all of the major European, Asian and Latin American languages and more. Whether it’s medical, legal, engineering, financial or marketing translations, we’ve got your covered with our specialized translator services. We’re confident that you’ll be happy with our translation services. We also want you to have complete confidence in selecting Stepes, which is why we offer our clients a 30-day service satisfaction guarantee. We support translation of all types of documents such as Word, Excel, Powerpoint, FrameMaker, InDesign, QuarkXpress, Office, Articulate, PDF, XML, and Scanned Documents. Yes, all of our translation projects are done by professional native translators with at least 5 years of experience. The linguists assigned to your projects must also have related subject matter expertise matching your industry or domain field requirements. Yes, all Stepes projects automatically create translation memory files so they can be leveraged for your subsequent translation needs for cost savings as well as better linguistic consistency and fast turnaround. We use professional translators with specialized industry subject field experience to work on all projects. We also have one of the largest terminology management systems to ensure all of your technical terms are translated accurately. We use the standard TEP (translation, editing and proofreading) process for our translation work. Select contents are reviewed by second linguists. Stepes employs J2450, DQF, LISA QA model, terminology management best practices, and our own quality assurance processes to produce the highest quality results. Mostly importantly, we are the first translation company to allow our customers to rate our translator performance for every project consistent with today’s rating-based economy. Yes, we provide multilingual desktop publishing (DTP) service for Word, InDesign, FrameMaker, PowerPoint, and many other publishing tools. Stepes provides one of the fastest on-line translation services in the industry. We offer true real time translation solutions for a variety of content types. Click here to learn more. Stepes is a professional human translation service. All of our projects are done by native human translators. We do use MT for pre-translation and the results are carefully post-edited by human translators for best quality. This machine-human solution ensures the highest efficiency and cost savings in order for us to meet your budget requirements. Yes, we provide certified translations for technical translations upon our clients’ request. Stepes is a new generation of online centric localization service provider that uses the cloud to most efficiently execute translation & localization projects. 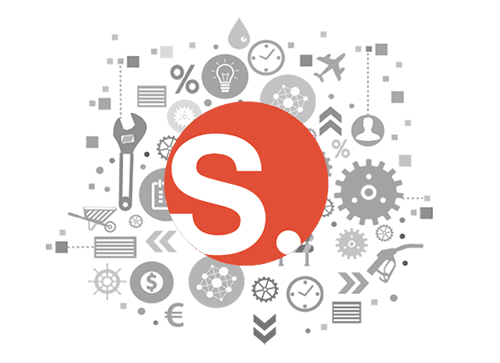 With Stepes, you can get instant quotes, kick off projects, track translation process, receive translated content, and manage invoice & billing all from our powerful online portal. Of course, our human project managers are always standing by to provide you with the most personal customer care whenever needed. Why our customers love Stepes! Thank you so much for the hard work and completing these translation requests so quickly! This was quite helpful, as we are now able to meet our deadline without any trouble. I have found that since switching all of my work to Stepes, it was the most beneficial business partnership that I could have made. I can honestly say Stepes is one of the finest partners I have worked with. We really appreciate all that Stepes has done for us this year. We are not always easy to work with, given the amount of change and growth we are experiencing. I just wanted to thank you for the excellent service you provide in language translating our PCA Stuffer Letters. Stepes’ rapid response in delivering translated content has been instrumental to our business in meeting global regulatory requirements and preventing product recalls and stop-ships. Quality translation on-demand is only a click away!